Olive Grove has worked with over a hundred organizations on succession and transition planning over the past ten years and no two processes are the same. Some involve a sudden departure followed by a panicked hunt for an exact replica of the departing leader – or a unicorn of a person who has a rainbow of superior talents. 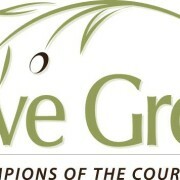 Others involve a founder handing over their life’s work to a carefully vetted leader with nervous excitement and hope. And still others involve years of cultivating a staff member to learn the organization inside and out for a seamless transition. In any scenario, the process of transition and succession must be tailored to the unique needs of the board and staff, while representing the values of the organization. Defining your values: In order to find the right person for a role, the organization must first have a clear understanding of itself. Values should represent the historical and present patterns and actions of the organization. Here are two exercises to help you understanding your organizational values: Values Exercise and Historical Mapping Exercise. Gathering information: Information gathering helps an organization to understand its goals, priorities, opportunities and risks perceived by those within and outside of your organization. This information will directly inform the qualifications and immediate goals of the new hire. Mapping knowledge sharing: Some information lives only in the minds of the outgoing employee and organizations don’t always have a clear system for transferring that information. See our Knowledge Sharing Tool for a resource. Developing a Succession Planning document: Once you have defined your values, gathered information from internal and external resources, and captured the knowledge within the organization, the next step is to create a document for the transition of key roles in case of a sudden departure. As outlined in The Living Transition Plan, questions should explore: qualities of a leader; desired shifts in an organization’s culture / structure; financial impact of a transition; knowledge transfer; process for selection of a new employee; communication around the departure; training / onboarding; celebration of the outgoing employee; and other elements of the organization that will be affected by the transition. Executive Search considerations: Of course, a leader departing will have much greater implications for an organization than other staff members. Thought must go into the decision-making process for selecting the leader, communications to stakeholders, funders and partners, the role of the outgoing leader in the future, and how to involve staff in the process. We have found that the last point – how to involve staff in the process – is crucial in ensuring a successful transition. This can take many forms but essentially staff involvement falls along a spectrum. We have provided a few examples to highlight the various possible forms of staff involvement in an Executive Search process. This spectrum can help you identify the best approach for involving your staff and board members based on your unique situation – especially for high impact searches, such as Executive Directors and CEOs. For case studies highlighting the spectrum click here. The Board-Only Approach: The Board does not involve staff in the process and makes a unilateral decision on the new hire. This approach is best used when the hire is a staff member, rather than a leader, and the team was previously ineffective. For an executive transition, this approach is best used when an organization is in extreme situations of transition or turmoil and requires decisive leadership. Be cautious of this approach. Even in some instances of extreme turmoil, staff still has valuable input to contribute to the qualities of a new leader. Make sure the Board truly holds all of the valuable information before moving forward with this approach. Staff member on Search Committee: A staff member is selected by the Board or elected by staff to join the Search Committee as a representative. This approach is best used when an organization has a cohesive staff that can elect a representative and establish a system for providing input throughout the process. This can be an effective approach if the board is a high-level advisory board and the staff member can bring complimentary insight on programs and operations. This approach ensures some staff involvement but requires that staff is bought-in to this process and trust their representative. Staff Advisory Committee alongside a Search Committee: Staff form a committee of multiple representatives, or for a smaller staff, all staff members are involved throughout the entirety of the process. This approach is best used when staff can provide insight into the culture, history and future direction of the organization in a way the Board cannot. This is also a helpful approach during periods of organizational transition and growth, when a new staff member or leader will likely create major shifts to the organization’s strategy and direction. This can be an elected or appointed Committee of staff who have regular input and updates on the process and a high level of decision-making in the selection of the candidate. For a smaller staff, this can include a process for gathering input from all staff through meetings, surveys, or other methods. Developing position description: Whether input is gathered collectively or individually, staff brings an important perspective to the qualities needed in the new hire. Ensure the focus is not wordsmithing but rather making sure critical points are covered. Meeting with candidates: Whether it is a direct superior or the new organizational leader, provide those working with the new hire the chance to meet that person during the later stages of vetting. It is important to recognize that the Board holds fiduciary responsibility and accountability to ensure strong leadership within the organization. While staff input is valuable and sometimes crucial to the success of the new hire, the Board always has the final decision-making power on the process and selection. Ultimately, involving staff is a critical step in ensuring the success of the new hire after the search and onboarding processes are over. The level of input can vary and it is up to the Board and senior staff to determine how much input is required for an efficient yet supportive process. For additional information on Olive Grove and resources for transition / succession planning, please see below. For many of us who work in the nonprofit sector and have degrees in higher education, it is likely — and common — that we are slaves to the devil: Student Loan Debt. Here at EAP SFBA, we often discuss the sustainability or lackthereof within the nonprofits. Do nonprofits provide employees with realistic, livable wages? Are higher degrees required for these positions, and do those wages account for the cost of obtaining that education? Lastly, what resources can we provide each other with to help decreasing our debt? We heard from four presenters to help foster awareness of the resources available to us: Natalia Abrams and Cody Hounanian of Student Debt Crisis; Maggie Thompson of Higher Ed, Not Debt, and Diana Dunker from CalNonprofits. This hour and a half webinar was jam-packed with information! Though they have provided a recording of the presentation, we at Emerging Arts Professionals have synthesized our notes on the main three components this webinar was designed to cover. There are three buckets of eligibility: Payment, Loan, and Employment. Payment eligibility requires individuals to make 120 monthly payments. They must be scheduled, paid in full and on time each month. 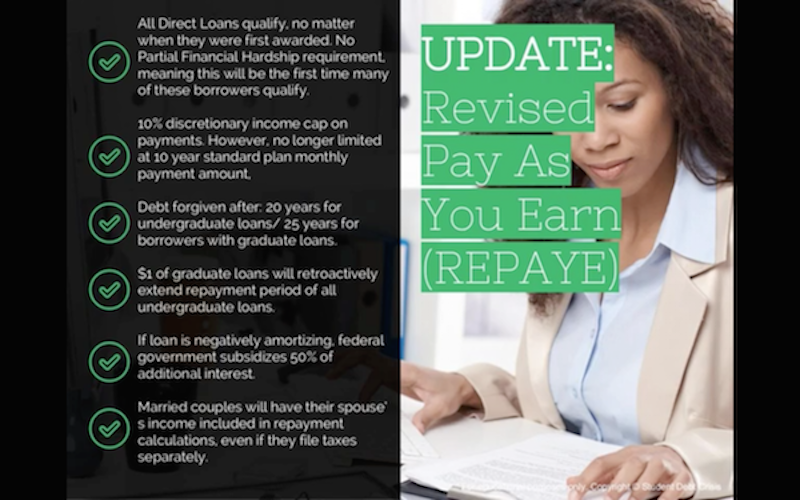 Scheduled payments are those that are made while in repayment, not in deferment, in-school or grace status, or paid ahead in prepayment. Participants in the PSLF program must be enrolled in qualified payment plans: 10-year Standard repayment plan (SRP); Income Contingent Repayment (ICR); Income Based Repayment (IBR); or Pay as you Earn or the Revised PAYE plan (PAYE/RePAYE). Loan eligibility deems that only Direct Loan Program loans that are not in default are eligible for PSLF. 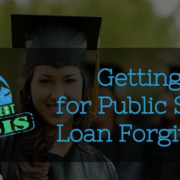 Loans received under the Federal Family Education Loan (FFEL) Program, the Federal Perkins Loan (Perkins Loan) Program, or any other student loan program are not eligible for PSLF. If you are unsure or cannot remember which kind of loan you have, you can always look it up on the National Student Loan Data System. Also, if you have previously consolidated your loans, then you must start your 120 eligible payments from the time of consolidation. Employment eligibility requires participants to be a hired employee, working full-time for a qualifying organization. A qualifying organization is a Federal, State, or local government agency, entity, or organization or a tax-exempt organization under Section 501(c)(3) of the Internal Revenue Code (IRC). 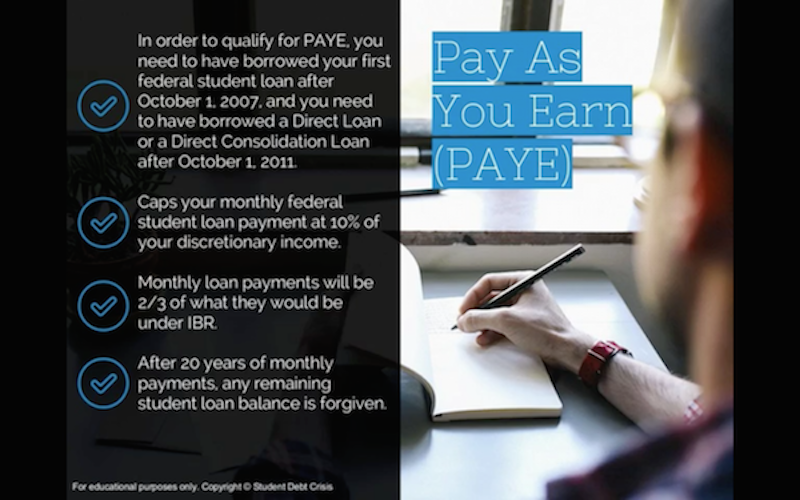 The same payment plans required for the payment eligibility are the same options once enrolled in the PSLF Program, aside from the 10-year Standard Repayment Plan. 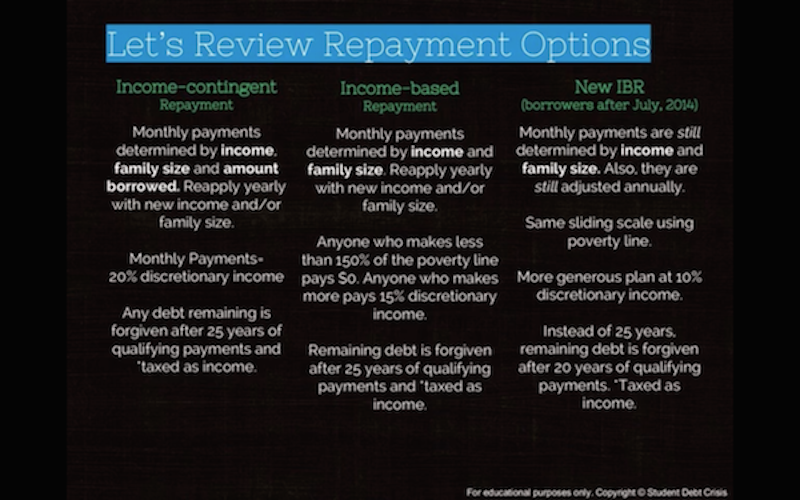 Here’s a quick breakdown on the following: ICR, ICB, PAYE and RePAYE. Now, the easy step. Once you have figured out whether or not you qualify and have your ducks in order, all you have to do is fill out the PSLF Employment Certification form! This can be printed, filled and submitted to the U.S. Department of Education FedLoan Servicing at P.O. Box 69184, Harrisburg PA 17106-9184, or faxed to 717-720-1628. Note that Section 4 of the form must be filled out by your employer. While this only begins to scratch the surface, we encourage you all to dig into the rich resources to help reduce student loan debt! Below are some links that we found are useful, and if you have an extra hour and a half to spare, we recommend listening to the webinar. We thank CalNonprofits for hosting and for the presenters for sharing their expertise!